The Los Angeles Lakers officially waived Corey Brewer on Wednesday, beating the deadline for the veteran forward to remain eligible to sign with a new team and remain eligible for the playoffs. The Lakers bought out Brewer in the final year of his contract. Along with a first-round draft pick, he joined the Lakers last season in a trade that saw Lou Williams sent to the Houston Rockets. Brewer appeared in 54 games (two starts) this season, averaging 3.7 points and 1.7 rebounds in 12.9 minutes. While his impact on the court was largely minimal, Brewer was lauded for his experience, leadership and willingness to mentor some of the team’s young players. Perhaps no more was Brewer’s unselfishness evident than when he accepted Lakers head coach Luke Walton not playing him in a January game. 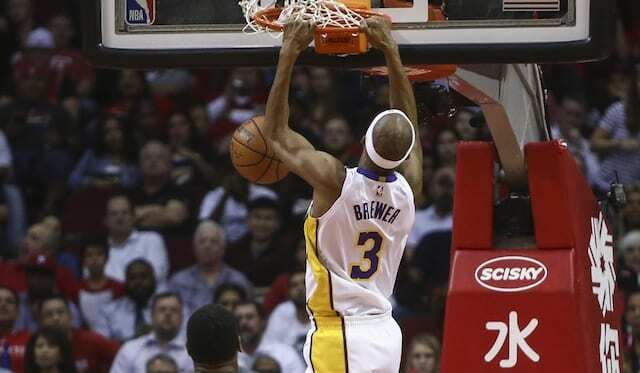 Although rather meaningless on the schedule, Brewer at the time had the longest active NBA ironman streak at 317 games. He later explained an understanding was established with Walton that Brewer would not be inserted into any game for the sole purpose of keeping his streak alive. The Lakers roster currently stands at 15, including two-way players Alex Caruso and Gary Payton II. 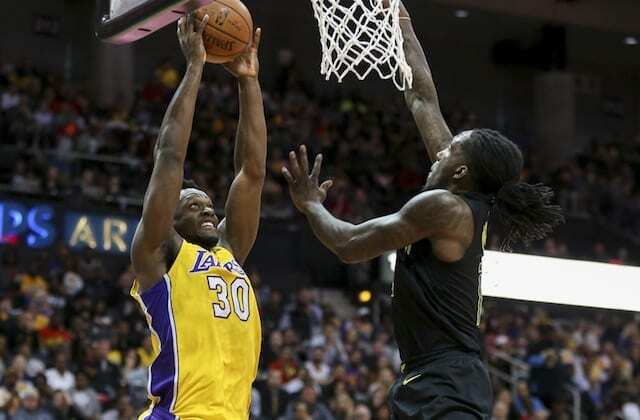 Though, the number of available players could be trimmed if Josh Hart is to undergo what presumably would be season-ending surgery on a fracture in his left hand.